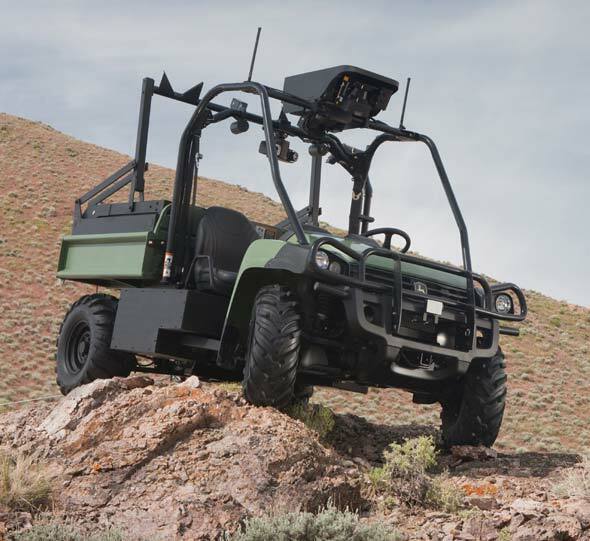 American Sportsworks recently introduced a hybrid utility vehicle, the ASW Landmaster Crew Hybrid. The vehicle features two drive systems a 48V electric drive in the front and a 653cc gasoline, V-Twin Subaru, powered rear wheel drive system. The vehicle can be driven with either drive system alone or using both together. The batteries can be recharged while operating the gas engine. Critics of small electrical vehicles such as street legal golf carts seem to have the carts’ alleged shortcomings as their sole focus rather than the needs of consumers. However, a closer look at consumers’ needs paints a different and much more positive picture of the future of these traffic newcomers. Getting consumers to fully embrace the electrical vehicle as a viable alternative to gasoline driven vehicles has proven to be an uphill battle. This is especially so when it comes to street legal golf carts such as LSVs (low speed vehicles) that have been charged with criticisms on speed and safety. This is a valid argument when comparing a battery-driven LSV; most often a golf cart that has been made street legal by adding safety features such as side mirrors and seat belts, to a big gasoline-driven vehicle designed for hour-long road trips. “We hear the same arguments over and over again, but our product was never made for the highway. It was made for short distance transportation in an urban area”, says Henrik Hansen, President of Garia Inc., a European manufacturer of luury street legal golf carts. A recent project* aimed at demonstrating how electrical vehicles can be used to reduce greenhouse gas emissions, air pollution, and gasoline consumption in selected suburbs in California shows that trip destinations of the participating households were mostly within 3 radial miles of home, a distance that can easily be accomplished by a LSV or another electrical vehicle. This is as good news for advocates of electrical vehicles as it is for consumers. It shows that consumers’ current driving needs matches the capability of a LSV, for example, and that consumers can cut down their gasoline budget and CO2 rate without compromising on their daily needs. Some critics have pointed out that the rather slow speed of the LSVs (allowed to drive on public roads with a max speed of 35 mph or less) make them less safe in the traffic than traditional cars. However, with the lower speed also comes a lower risk for the surroundings – pedestrians or cyclists – and many cities have now implemented designated lanes for LSVs. In Surfside Beach, South Carolina, where “the golf cart is the national vehicle”, Mike Frederick, chief of Surfside Police says that “Unlike large vehicle accidents involving SUVs and motorcycles, the S.C. Highway Patrol doesn’t see many accidents involving golf carts”**. Although safety concerns should always be taken seriously, a sensible driving style applies in all kinds of vehicles. And what the LSVs do particularly well is meet consumers’ needs and offer a form of personal transportation that suits the green lifestyle of the future. This is guaranteed to be the key to their success. “The Garia LSV is a luxury and quality alternative to the traditional LSV. The increasing popularity of the LSV will produce a natural need for a product that stands out from the rest and has the quality of other luxury products”, says Mr. Hansen. Manufacturer: BB Buggies Inc., of Augusta, Ga. and Bad Boy Enterprises LLC, of Natchez, Miss. Hazard: The steering assembly arm can break and cause the driver to lose control, posing a crash hazard. Incidents/Injuries: The firm has received 15 reports of the steering assembly arm breaking. No injuries have been reported. 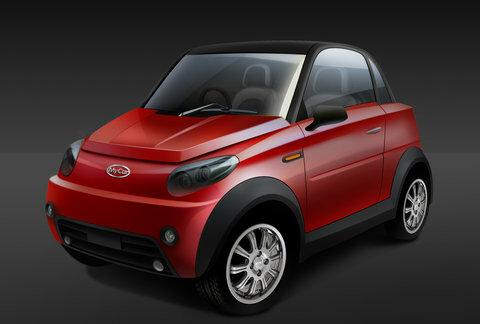 Description: This recall involves Bad Boy LT, Classic, XT, XTO and XT Safari model electric off-road utility vehicles. The utility vehicles have four wheels, bench seats for the operator and passengers and were sold in camouflage patterns, hunter green, red and black. “Bad Boy” is printed on the side or front of the vehicles. Sold at: Bad Boy Buggy dealers nationwide from August 2009 through June 2011 for between $7,000 and $15,000. Remedy: Consumers should immediately stop using the recalled utility vehicles and contact an authorized dealer or BB Buggies for a free replacement of the steering assembly. Polaris Industries is the lead investor for Brammo’s second round of financing totaling $28 million. Existing investors Alpine Energy and Northport Investments are also involved in supporting the electric motorcycle manufacturer for this round of financing. In total the company has raised nearly $40 million in financing since 2008.